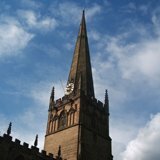 Charford village is located close to the town centre of Bromsgrove. For many years it was farm land and the main building was The Lint Mill this provided employment for many of the residents. This was later demolished to make way for South Bromsgrove High School (the old building). The original housing estates in the village were built to house the workers of a nearby factory in Aston Fields. There are two schools The First school teaching children from Reception to Year 4 and South Bromsgrove High School Teaching Year 9 to Year 13. 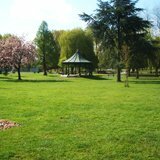 There is also a small park which has recently been refurbished, and the area is only a 5 minute walk from a large Supermarket. Do you have any information you'd like to share on Charford? Maybe you operate a business in Charford and you would like to promote your goods or services. Or you run a club, association and would like to post a local event. We are looking to expand our content on Charford and would love to hear from you.